Original Monotype. Paper Size: 22" x 30". Image Size: 18" x 24"
Ellen Markoff — a printmaker who lives and works in San Francisco, sees monoprinting as a pure expression of emotion. 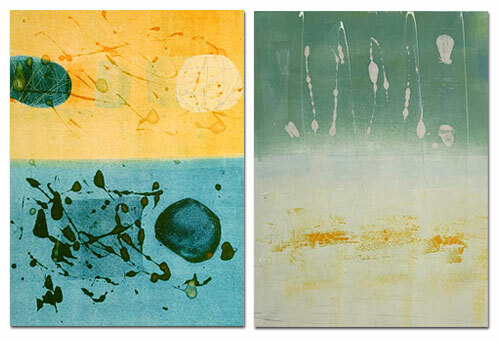 For Markoff, the monoprint process lends itself to a spontaneous approach, creating a beautiful surprise at the end. 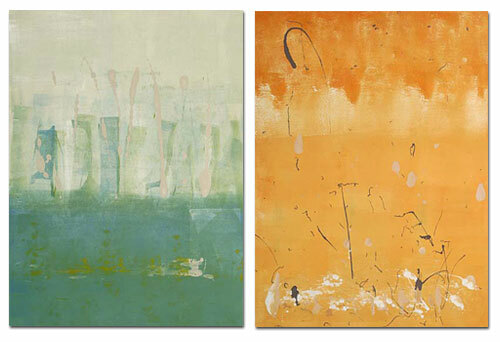 Visit Ellen Markoff‘s Web site to see more.